The obvious temptation is to roll costs onto employees, and that is what many organizations are forced to do. Every year, industry publications explain how benefits leaders are under pressure to control costs, and the obvious relief valve is reducing benefits coverage in one way or another. Whether it’s high deductible health plans (HDHPs), higher premiums, or cutting programs, many employers feel like they have no choice. While we do see this concern around costs among our clients, Artemis also talks to a lot of employers, consultants, and brokers who are instead finding ways to reduce costs without affecting employees. So how are they doing it? Here are a few strategies employers are using to avoid pushing the high cost of healthcare onto their employers. They’re finding dollars left on the table. In the U.S. healthcare system, approximately ⅓ of all spending is wasted. It’s nearly impossible to stop the waste entirely, but there are a lot of strategies that help employers get back the dollars they’re leaving on the table. Track and prevent emergency room overspending: Using a data tool like Artemis can help you analyze emergency room claims, find top preventable diagnoses, and implement solutions (telemedicine, patient education, and more). Manage chronic conditions: Data enrichment models like episodic groupers and cohorts can help employers track chronic conditions. Additionally, chronic condition management programs and clinical communication can help these members stay on top of their illness, avoid prescription overspending, and lead healthier lives. Determine which programs truly work: Vendor data feeds and effective analysis give employers the knowledge and power they need to make good programming decisions. They can measure program success and choose those that really meet the needs of their member population. Yes, HDHPs are controversial due to the potential for higher out-of-pocket costs for members. But these plans are gaining popularity with consumers because they can be economical and they come with Health Savings Accounts. Current federal limits allow a $6,900 contribution to a family account each year, which certainly helps cover out-of-pocket costs. While HDHPs might seem like a way of shifting costs to employees, these plans can encourage patients to seek value-based care, avoid unnecessary treatments, and stay in-network. Additionally, many employers are taking on a portion of HSA contributions, funding members’ accounts and saving on the premiums they’d otherwise pay on traditional plans. Employer HSA contributions are the perfect way to offset the downsides of an HDHP for members. We’ll be keeping a close eye on one other trend in HSAs: using them as supplementary retirement accounts. They’re getting smart on pharmacy spending. We’ve written about how to save on pharmacy expenses in the past. There’s no doubt this is a hot topic for employers, consultants, and brokers. More than any other benefit program, pharmacy has the potential to be unmanageable for both members and employers. But the good news is this: savings for employers also mean savings for members. A good example is the common Type II diabetes drug metformin. It’s sold under a number of brand names, and it can cost as much as $1,500 per claim for employers. But a generic version is available for just 10 cents per claim. 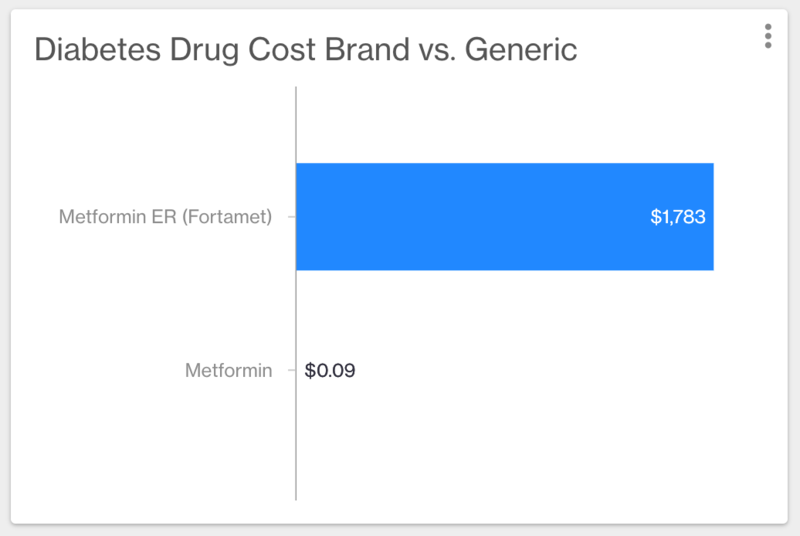 With formulary management, an employer can steer members taking this drug to the generic version. This is savings that employers can pass along to members, and they’ll feel the difference when they pick up their prescriptions at the pharmacy. These are just a few examples of how self-insured employers are using data to keep benefits costs low, not just for their own budgets, but for their members too. Want to learn more about how data help control rising healthcare costs? Get in touch for a personalized demo.